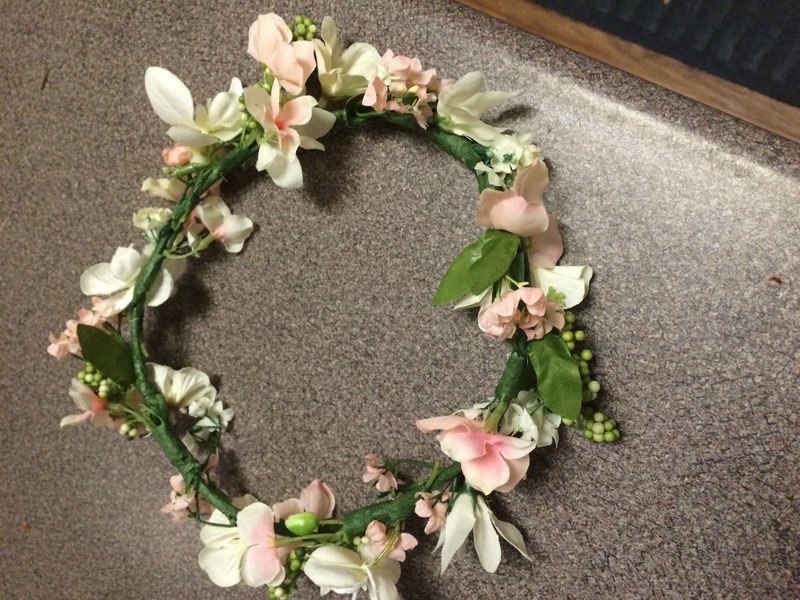 Has anyone made their own floral crowns or headbands? I would love to see some photos of how yours turned out! This is such a romantic look and more brides (including celebrities) are using these. They are especially pretty for flower girls. This very feminine hair adornment has been used over time for various pageants and ceremonies. Celebrities such as Anne Hathaway and Kirsten Dunst have rocked floral crowns for varied occasions. 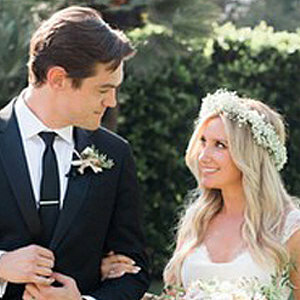 Ashley Tisdale used floral crowns in her wedding to Chris French. Audrey Roloff from Little People, Big World also looked amazing in her floral crown. Floral crowns are supposed to be an easy DIY project using bulk flowers and very basic floral supplies. Has anyone made them and how did it go? What flowers did you use and how long did it take to make? Can you share some photos? Thanks! I made a floral crown from silk flowers for the first day of spring last year. It was really easy and fun. For my wedding, I did silk flower hair clips. Silk is much less stress and it looks fine unless you get up real close. I made one for my upcoming wedding for my flower girl. I just bought silk flowers from Hobby Lobby. The process was pretty simple. I just used flower wire and made a ring the size of her head, then snipped off the flowers and worked my way around taping them on with floral tape. I think it looks pretty good. It only took about 1 1/2 hours to make. I'm not sure its good enough quality that *I* would wear it, but it sure looks cute on her (she's 5). I do think that with some more practice, I could make one nice enough that I would wear. It was cheap to make too.